Higher water-use demands and flows. Increased demands can push the hydraulic limitations of the existing water-treatment, steam-production and wastewater-treatment equipment and decrease performance. Operating costs will likely rise due to the additional stress placed on the equipment while capital spending may be necessary to increase capacity to meet the demands. Water use at a plant can increase for many reasons. Plant expansions and unit conversions can impact utility systems by boosting flows and contaminant loading. In addition, new and modified units may contribute additional stormwater runoff. Tighter product specifications also can lead to increased water demands from, for instance, additional washing steps. Another common source of higher demand is aging or failing equipment. Heat exchangers with leaking tubes that have been plugged or clogged tubes, for example, may require more water to meet cooling demands. Often external cooling from hoses serves as the supplemental cooling source. Water-utility-cost increases. The cost of supplying water for steam, cooling and processing varies extremely depending on the water source. Water typically comes from sources such as on-site groundwater wells, surface water or an off-site provider. These supplies often have flow limit restrictions and purchased water costs can be prohibitive. There also may be additional regulations enforced when demands exceed certain permit limits. Costs for raw-water treatment (chemicals, sludge disposal, pumping, etc. )rise with demand. Wastewater-utility-cost rises. There is a direct relationship between water demand and flows to wastewater treatment. Many wastewater-treatment units are designed for peak flows only experienced during storm conditions. Treatment costs during these peak flow conditions can climb exponentially due to increased pumping, aeration demands, sludge management and solids disposal requirements. Most importantly, extra water use cuts into treatment capacity to handle peak flows and often results in the need for additional storage capacity to dampen the peaks. Plants that discharge their wastewater stream to an offsite treatment authority are generally billed for usage based on metered flows — thus higher wastewater flows could represent a significant cost burden. More-stringent regulatory limits. Regulations that can affect water-based utility system costs include vapor control limits (national emission control standards for hazardous air pollutants, etc. ), wastewater discharge limits (National Pollutant Discharge Elimination System or state limits), and land disposal restrictions that regulate contaminants present in unlined storage/treatment ponds or collection systems. Control systems or equipment modifications designed to comply with these regulations often are sized based on flow or contaminant loadings. 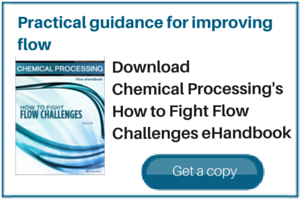 Increasing flows to existing treatment systems can lead to decreased performance if the systems either are not managed to accommodate these changes or cannot meet these new demands. For example, higher loading on a biotreatment system can result in the existing aeration system not meeting the new oxygen demand or in significantly lower hydraulic residence time or mixing capabilities, both of which can decrease performance and possibly cause a discharge permit violation. Water-use systems impact nearly all plant operations either directly or indirectly. Steam, for example, is a common heat source in tubular exchangers. In reactor systems it can serve as a heat sink, as an inert diluent or for mixing. It also is used for duties as diverse as powering turbines, keeping instruments cool in an incinerator and as a barrier fluid in the seals of a compressor. Steam condensate and boiler feedwater provide a source of clean low-dissolved-solids water not only for boilers, but for makeup for chemical solutions, pump seal fluid or wash water for removal of precipitated salts. Cooling water goes to users ranging from large tubular exchangers to air conditioning units and sample coolers. Figure 1 shows the water balance for a typical plant. Figure 2 shows typical water users and contributors to wastewater-treatment loads. As water demands rise, flows to wastewater treatment increase proportionally unless water reuse and recycle is boosted. Therefore, it makes sense to focus on the major contributors of wastewater flow and contaminants for potential opportunities to reduce, reuse, recycle or eliminate these streams. Generally water requiring either discharge or treatment can be classified into four types: process wastewater, non-process wastewater, maintenance wastewater and stormwater. Process wastewater consists of streams that directly contact other unit process streams and that, therefore, may require controls for volatile emissions and treatment prior to discharge. Non-process wastewater consists of streams that don’t directly contact other unit process streams. Non-process streams typically contain contaminants at concentrations below all regulatory triggers and may be recovered for re-use or subject to less-stringent treatment requirements. Stormwater is defined as runoff collected throughout the site. Runoff from non-process areas is generally suitable for direct discharge via stormwater outfalls. Maintenance wastewater is generated during activities such as pump, heat-exchanger and instrument/analyzer clearing, filter changes, equipment washdown, deluge system testing, winterization and turnaround. Maintenance streams, depending on regulations and their potential contamination, often are subject to controls similar to those applicable to process streams. Non-process streams frequently account for a majority of flow to wastewater treatment. Data from numerous facilities show that these streams can account for well over 50% of the total flow to wastewater treatment. Stormwater also can have a huge impact on wastewater hydraulic loading because runoff rates often set the instantaneous peak flow rate to waste treatment. It is not unusual for peak runoff rates to exceed average wastewater flow rates by a factor of 100, particularly at a Gulf Coast location. Both of these “clean” streams not only contribute to the hydraulic loading at wastewater treatment but also affect treatment performance. Decreasing demand is almost certain to result in a corresponding cut in wastewater volume and potentially less contaminant loading. Non-process sources, stormwater and many common process wastewater sources can effectively serve as substitute supplies in many applications. Success depends upon carefully matching the water quality requirements with the characteristics of the wastewater. It is necessary to take into account any impact that water reuse may have on the quality of the wastewater. Build-up of contamination within a recycle loop can occur. Also, water reuse can affect the quality and characteristics of the remaining wastewater that is to be routed to waste treatment or to discharge. Now, let’s look at some examples of potential sources to consider for reuse opportunities and common contaminants (limitations) of each. • Blowdown streams. Recirculating-cooling-tower and boiler-feed streams build up dissolved solids, especially calcium and magnesium compounds, silica and other contaminants that are relatively insoluble in water. These compounds, when heated, tend to precipitate out of solution, causing scale and corrosion. Blowdown streams are necessary to maintain low levels of solids in the recirculating streams. Blowdown streams contain concentrated levels of total dissolved solids (TDS) and for this reason are not good candidates for reuse. • Water-treatment regeneration streams. Ion exchange media (salt brine for softeners, acid and bases for deionizers) used to remove both suspended and dissolved solids generally require regeneration. This typically consists of backwash, regenerant introduction and fresh-water rinse steps. These wastewater streams often have high levels of suspended and dissolved solids and may require pH adjustment depending on the exchange medium. The high dissolved or suspended solids contents of these streams preclude most reuse options. • Condensate. By returning condensate to the boiler for use as feedwater, facilities reduce the makeup source demands and lower regeneration flows because condensate does not typically require water treatment. Condensate streams have low TDS and often high heat-recovery potential. • Unrecovered cooling tower water or once-through cooling water. Water that is not returned to the cooling towers for recirculation contributes to the blowdown flows. Lowering unintentional losses of cooling water allows the blowdown rate to be controlled, which then enables the operator to control cycles of concentration. Maximizing water returned to the once-through cooling water system reduces hydraulic loading to the wastewater collection and treatment system. Cooling water generally has low TDS. These streams, though, potentially may have elevated hydrocarbon concentrations if there is a heat exchanger leak or other abnormal situation. • Stormwater. Stormwater from non-process areas typically is acceptable for direct discharge. However, because of the potential for contamination, runoff from process areas must be collected and treated or (at a minimum) tested to determine if concentrations are below those specified in the plant discharge permit. Process-area runoff has the potential to contain soluble and insoluble contaminants. It is becoming more widely accepted for facilities to design systems for first flush, which allows for the collection and treatment of an initial volume of stormwater expected to contain the majority of potential contaminants and then for discharge (or collection and reuse) without treatment of the remaining flows. • Stripper effluent. Strippers are used widely to remove volatiles, lower organic concentrations and potentially recover certain components. Effluent is commonly discharged to wastewater treatment. However, there may be reuse opportunities for these streams depending on stripper effluent quality. If the concentration of soluble organics in the effluent is low, then this stream can be reused as cooling tower makeup or boiler feedwater. However, soluble organics provide food for microorganisms and thus will cause biofouling rates to increase. Many plants use strippers on process condensate streams. The effluent from this service is a good candidate for boiler feedwater makeup. Another possible use for stripped sour water is for steam generation. Ethylene, styrene and tall oil plants commonly generate low-grade steam from “dirty” plant condensate such as stripped sour water. This steam can then be used for services involving hydrocarbon contact such as stripping or vacuum jets. Appropriate measures for recycle or reuse of wastewater differ depending on the specific situation. One feasible option often employed for recycling is to group streams based on TDS or contaminant content, e.g., recycle of low-TDS sour-water-stripper bottoms (in preference to high-TDS cooling tower blowdown). Specifications for water to be reused must be based on solid justification — however, being overly conservative drives up pretreatment cost and limits possibilities for reuse. Operating practices can tax water-use utility systems and increase flows to wastewater treatment — and often provide promising opportunities to save water through installation of additional equipment, modifications to systems or operator training/awareness. The table lists some examples of common water-use practices that should evaluated for reduction or elimination. • Decreasing, if possible, the size of runoff collection zones in process areas. Storage tanks can be used to lower wastewater-treatment peak hydraulic loadings, which dictate equipment sizing. The use of tanks also allows for better management of biotreatment systems, which do not effectively respond to sudden changes in flow and contaminant loadings. • Condensate and cooling water from heating/ventilating/air-conditioning units. Other non-process streams may be considered for direct discharge if sufficient data and process knowledge are available to assure the discharge permitting authority that the streams are non-contaminated. Reducing flows of non-oily wastewater obviously will lower the hydraulic loading of the collection and treatment system, which in turn should improve operations. However, such a move offers other benefits, too. First, most hydrocarbon species have a limited solubility in water. By introducing non-oily wastewater into an oily wastewater stream that contains free oil, additional hydrocarbon will enter into solution based on saturation of the previously non-oily water with sparingly soluble hydrocarbon species. This has the effect of significantly increasing the soluble chemical oxygen demand (COD) load at treatment (generally biotreatment is used to remove soluble COD). The impact is most apparent when a low flow stream containing free hydrocarbon is mixed with a high flow clean stream. The second reason for segregating clean streams from oily ones (process wastewater) is that some of the large flow non-process streams contain solids or form fine precipitates when mixed with other streams that are at a higher pH. Examples include blowdown from cooling towers and boilers. The solids and fine precipitates combine with hydrocarbons that may be present in the process wastewater to form emulsions. These emulsions can be difficult to remove with separation technologies (separators, air flotation units, etc. ), thus increasing the hydrocarbon load to secondary treatment (typically biotreatment). The reuse of treated effluent does not reduce the total flow rate of wastewater requiring treatment and thus, is generally less desirable than the direct reuse of clean wastewater. This option does, however, decrease water demands. One of the more-common unit operations for wastewater treatment at process plants is biotreatment, which is effective for decreasing soluble organic concentrations. Reuse of effluent from biotreatment systems may require reducing solids concentrations through filtration or other technologies; residual organic concentrations must be low to minimize the need for pretreatment before reuse. Such treated effluent often is suitable for washwater from hose stations and other uses that can tolerate relatively high dissolved solids content. Removing the dissolved solids often opens up other opportunities such as cooling tower makeup, boiler feedwater makeup, process water or once-through cooling water but adds to cost and reduces operability in that the reused water supply is only available when the dissolved solids removal equipment is online. Significant opportunities generally exist to reduce the total load on the water-use system (Figure 3). Employing measures to recycle or reuse streams, eliminate or reduce water-use-intensive practices, decrease stormwater impacts, and segregate clean streams for direct discharge will help to optimize the utility system. They may lead to reduced capital costs for upgrades and expansions and lower operating costs, as well as improved treatment performance and in turn fewer discharge permit violations. Tabatha Pellerin, P.E., is a process engineer with ENSR International, Westford, Mass. E-mail her at tpellerin@ensr.com. John Woodhull, P.E., is the manager of process engineering for ENSR International, Westford, Mass. His e-mail address is jwoodhull@ensr.com.